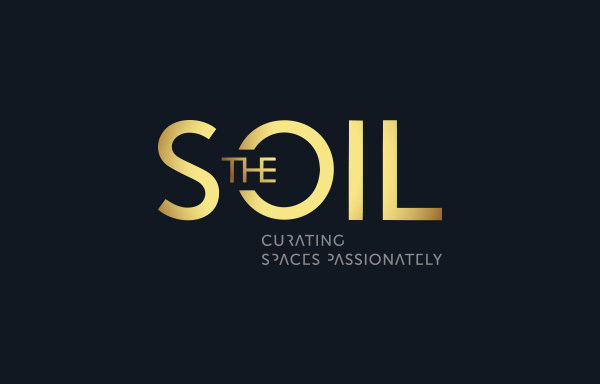 Brand logo designed for a customer who styles and curates interior spaces, both residential and commercial. 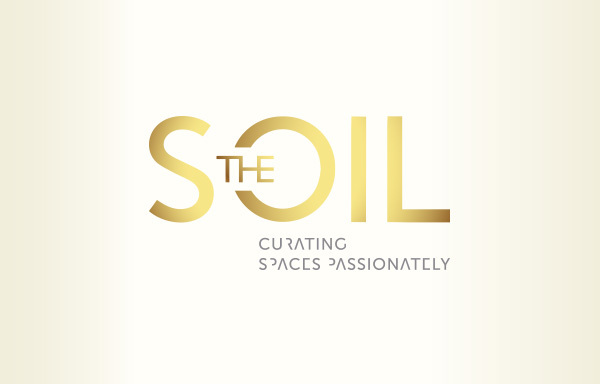 Her area of expertise is in curating spaces to look elegant and distinctive. 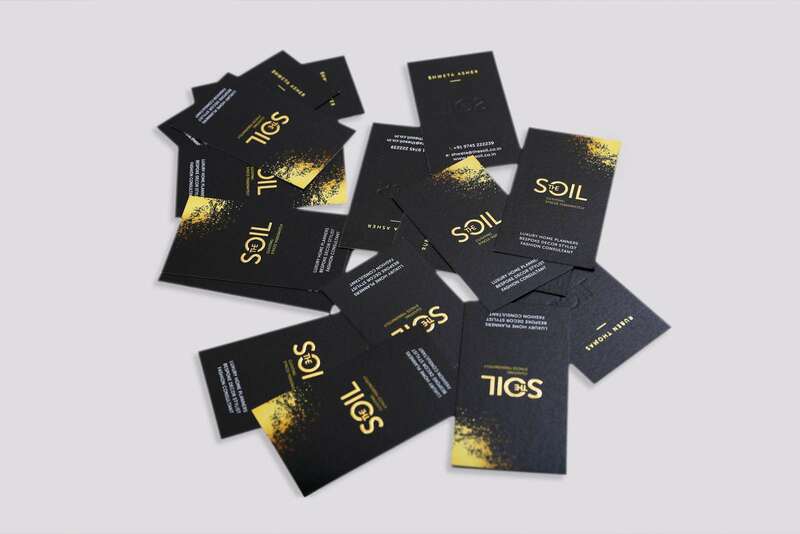 The name was suggested by the client for two reasons - her humble beginnings and with the belief that any construction, whether residential or commercial begins from the ground (soil) up. 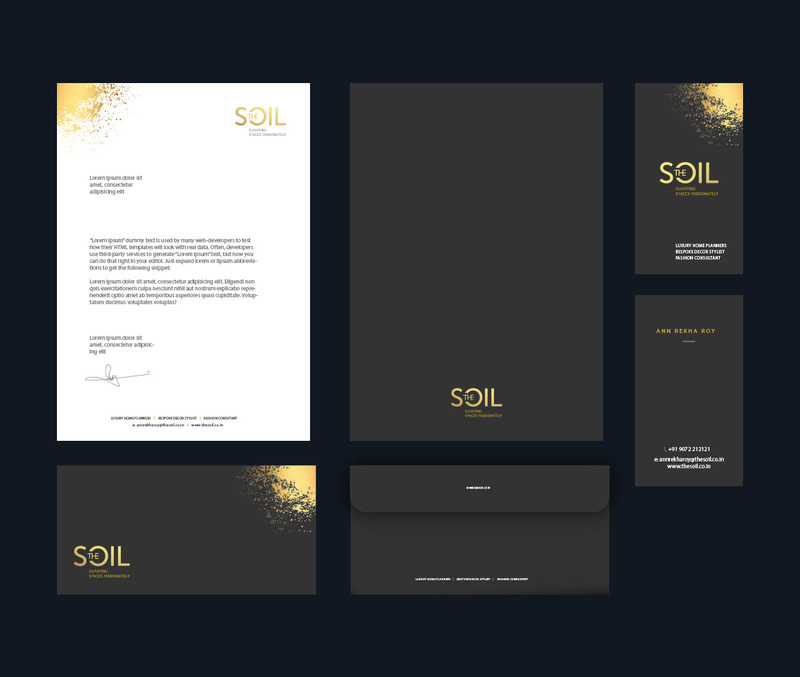 Since her sense of style is minimal yet modern we went with a similar approach for the brand logo. 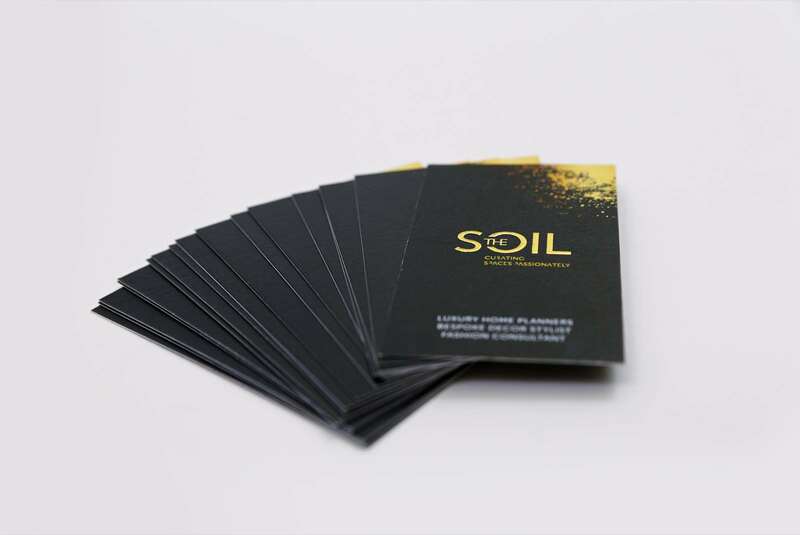 The top corner of the visiting cards and letterheads feature a sprinkling of soil, embossed, printed and foiled in gold. 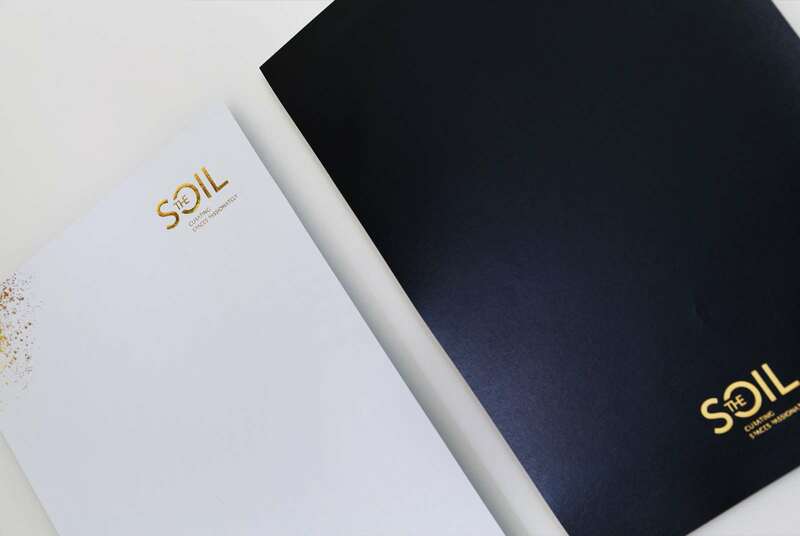 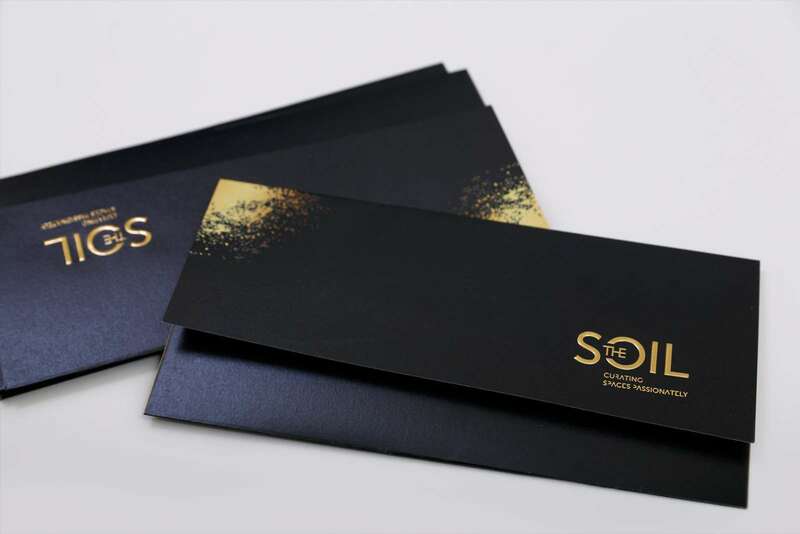 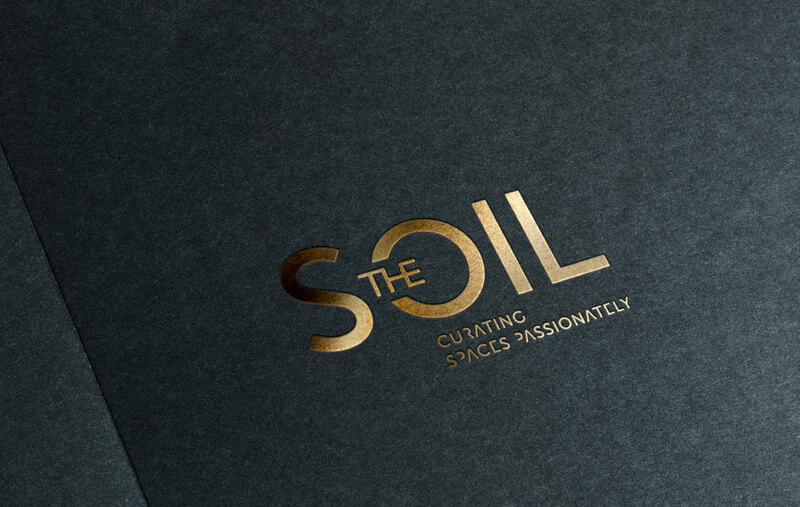 The logo for ‘The Soil’ was also foiled in gold and then embossed. 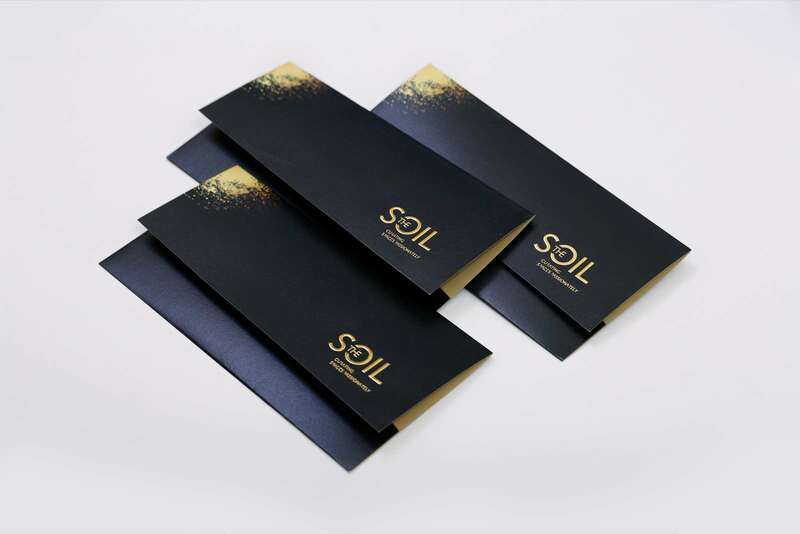 Since the clientele was discerning we decided to do away with normal business envelopes and designed a small folder that could be used for both correspondence and invoices. 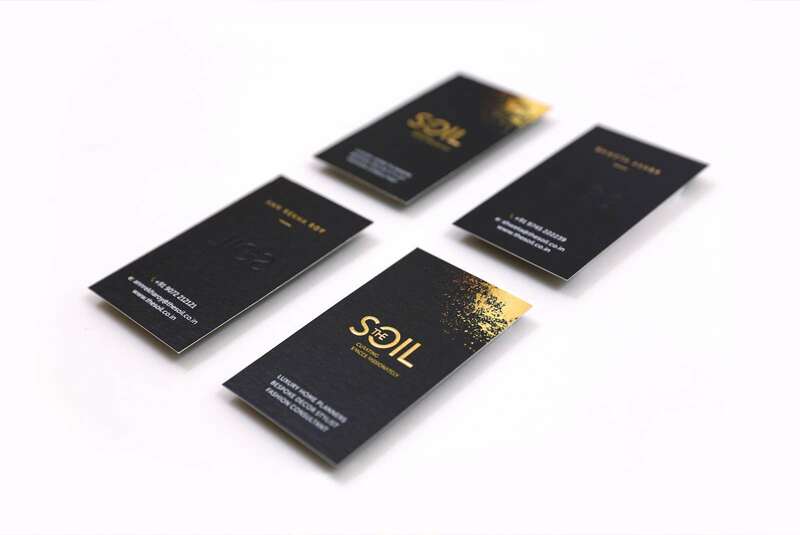 The predominant colours of black, white and gold were used to convey opulence.